If you've followed the blog for a while then you may know that Joey has eczema, when he was a baby his skin was pretty bad but we've managed to get it under control. 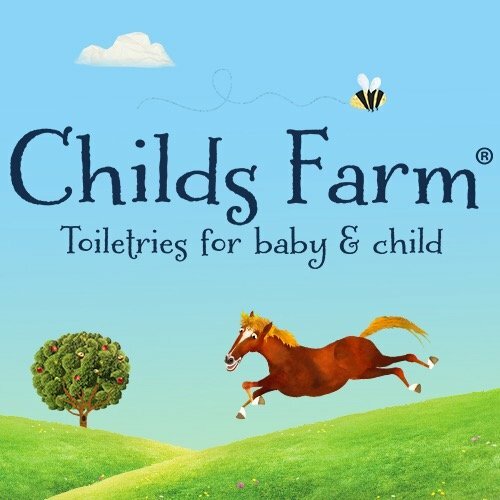 Over the past year we have been using the Childs Farm hair and body wash as it is safe for eczema prone skin. But over the past month or so I started to notice that their was a build up of dry skin on the top of Joey's scalp. I didn't know if this was down to his eczema, the heat or bath product we were using. 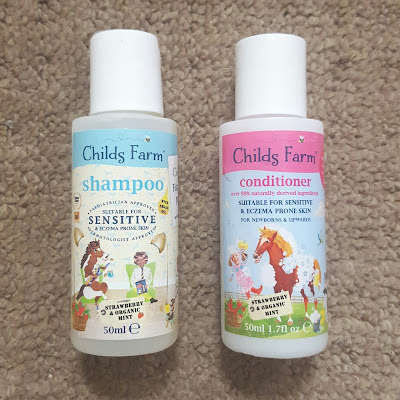 So I asked the lovely people at Childs Farm what they would sugget using and they recommended using a separate shampoo and conditioner. They very kindly agreed to send us some samples for him to try. We recieved samples of the Shampoo, Conditioner and Baby Oil. The shampoo and conditioner both contain strawberry & mint and smell really nice. I first started using Childs Farm because they were the only product I could find that were designed for children with sensitive and eczema prone skin. I was so surprised to learn that well known baby bath time products that we had a massive collection of when Joey was born were actually making his skin condition worse. So along with his prescribed bath emolient and moisturiser Childs Farm has been our go to product for a while now. Having been using the samples of shampoo and conditioner for a few weeks now I'm so pleased to report that the dry skin on his scalp has disappeared. I think because i was using a combined shampoo and body wash I was probably neglecting the fact his hair/scalp was lacking moisture. I'm so happy that his dry scalp has dissapeared and we will continue to use Childs Farm products. 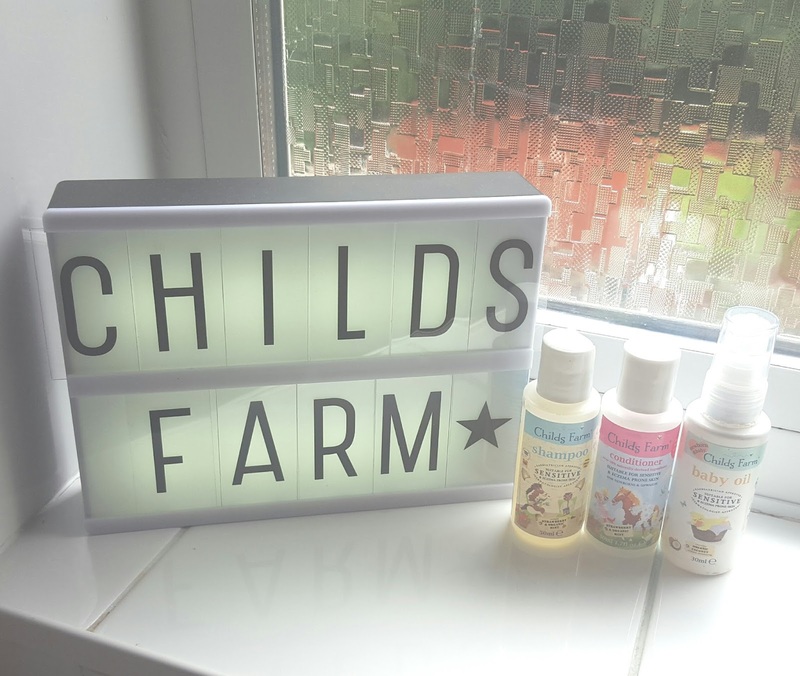 If you have a child with sensitive skin or eczema then I highly recommend Childs Farm products. *Samples were sent to me by Childs Farm and review conducted based on the outcome of using the products.